Hi, Hola! 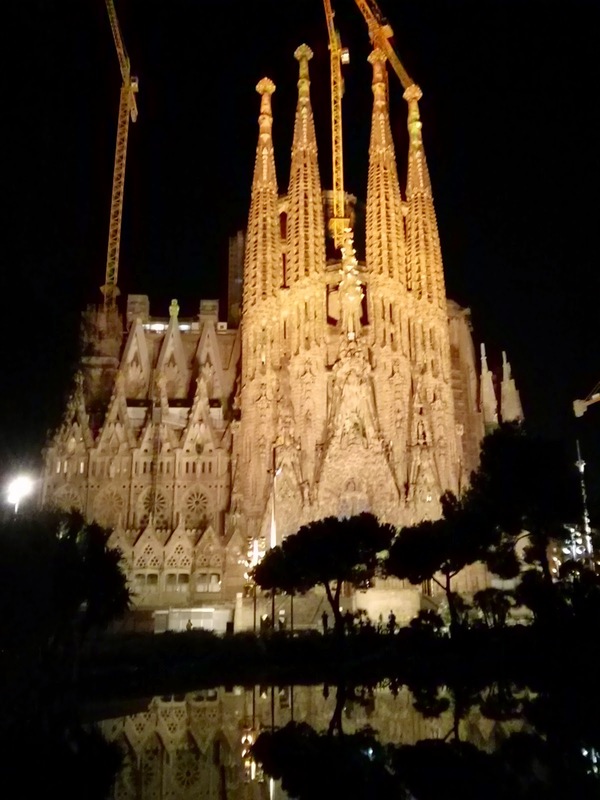 As I listen to the chimes of the Sagrada Familia (one chime at 15 after the hour, two at mediahora, three at 45 and at the top of the hour, from 9 am until 9 pm, it plays a song with the bells) while listening to Spanish radio; windows open, door ajar; I'm reminded that I live in one of the worlds largest, oldest Cities. One with more history, culture, people and possibility than I had ever experienced before. Seems I am living here, I am comfortable and happy. I have my own flat, some groceries, made a few friends, own a map (or two), got a ticket to the Metro (T-10, soon to figure out how to acquire the monthly pass for only 54 Euros unlimited use, I'll get one of those) and now I have a Spanish class to attend Monday to Friday for a few hours each day. This is all amazing, but I still need to determine 'how does one live here'? I needed work and I needed to figure out what to do to make sure that I was living here legitimately! Kind of two big things. I had worked so many diverse jobs back home, but really, trying to obtain employment in a Country where you can't communicate with their first two Native Languages (Catalan or Spanish), all that experience was for not if I can't read, write or speak with the majority of the people. However, within a few weeks I was offered four jobs. The catch being, I had to speak Spanish. HA! Definitely a harder feat than I had thought prior to relocating ... couldn't even get a job in the washrooms passing out hand towels, soap and perfume ... "you are beautiful, but you need to speak Spanish at least" ... ohhh kay then. "Beauty" this concept wasn't a factor in applying for jobs back home ... but I learned quickly that you needed a curriculum vitae (not a detailed resume) and it needed to include a recent photo. Why was this? And I'm still not sure I know the full answer, but I do know that they won't consider you for job postings unless you have it there. The pretty test? Perhaps. So while streamlining the content in my resume and exploring job possibilities (talking, web-searching, door to door exploring and asking), I kept hearing of this residence card, this NIE (pronounced "knee-eh" meaning Número de Identidad de Extranjero). So I began researching how one acquires this document. This search was as tireless as the process itself, I'd even say exhausting. Even though I had started the search long before moving here, I thought once I arrived it would get easier to figure out ... not the case. Every website was different, none of the information was consistent. Every person I discussed this card business with didn't seem to understand what I needed to obtain my NIE. If it's so important, why is it so difficult to find the correct process? *argh! What makes the NIE document so important? 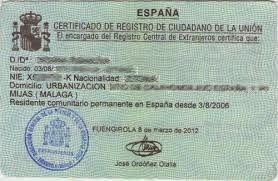 It's the first step in legally working and living in Spain. You need it to open a bank account, to apply for work, to purchase property or a house, to get your social security number (and if you want to go those few steps extra, you'll need it if you wish to fill out the paperwork for your Certificado de Empadronamiento etc. etc. One would need a NIE and I wanted one. So on week three, I set out to visit the area where I thought I needed to be. Keep in mind there are a few different types of police in Barcelona; traffic, crimes, guards for Royalty and Political figures and those who work in the oficinas de extranjeros (much the same as Canadian / USA customs officers). 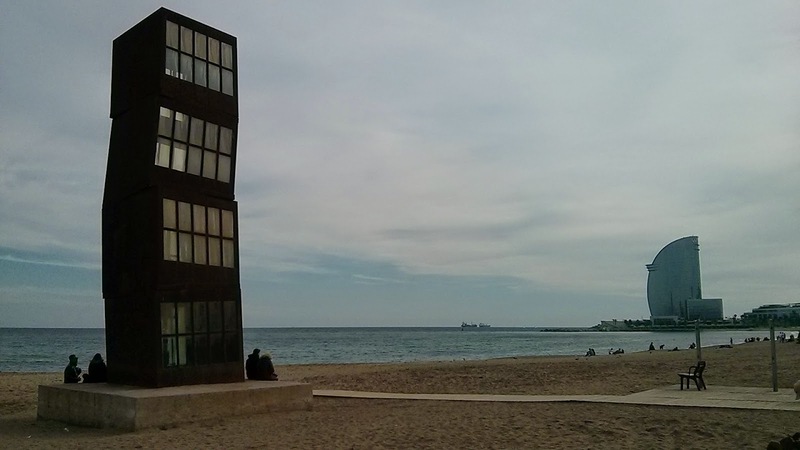 Also important to know, most public offices in BCN are only open from 9 am until 2 pm Monday to Friday. I made my way to Calle Sant Joan for the 2nd time (first time was just the day before, but when I arrived I found the door was locked solid, 2:01 pm darn it. Guess, they aren't joking when the sign says they close at 2 pm). Once there, the Uniformed Officer met me outside at the entrance. He was very nice, but his English was sadly as good as my Spanish lol. He passed me a piece of paper with a web address and told me I'd need to make an appointment with them. I thanked him, took this paper, feeling a bit overwhelmed, made my way back to my piso where I decided that I could figure it all out tomorrow. One day!?! Nothing ever gets completely figured out in 'one day' here. It's through this NIE process that I learned of Spain's tranquila y relajas attitude (calm and relax...basically "Chill Out"). During this "one day", I figured out how to make my appointment at 'this' office. It would be at a different venue than where I was instructed before, but it was only a few metro lines away (hooray for Google Translate). I proceeded through pages and pages of information online and finally arrived to the page where I pick one of three available dates and times. I guess because I thought the officer at the first oficina was trying to help me get the best possible service, I was a little surprised when the date choices indicated that I was going to be waiting nearly 30 days. Thirty days before I could get in to see anyone (at which time they could still send me out to collect more and more information, yikes). From what I was now reading, unless I had a job offer or an educational reason, there wasn't any way I could get this essential card. I kept my appointment anyhow. So, how would I spend my thirty days while I awaited this necessary appointment? My sweet new friend from Serbia, whom I met at Spanish Class, referred to how I would spend these days by using a term that when directly translated was defined as "Deaf Bitching" haha. "Deaf Bitching" is when someone takes off without a plan she explained; to explore, roam, wander etc without direction. In a way, she was right, but I did establish a routine, I guess it could be summed as a complete routine of "Deaf Bitching". I went to Ole Languages Spanish classes five days a week, dance venues and night clubs, practiced Spanish and helped others with their English, looked for work, asked questions, ate, visited the beach, researched more and more, attended functions (like taking in Flamenco shows, markets and festivals), kept a journal for future blog posts all the while making new friends and extending my list of must-sees. I continued to apply for jobs (and continued to hear nothing), I'd do this daily for 2-3 hours. I'd try to do this in the evening hours so I could spend my days exploring (or "deaf bitching' rather lol). I'd take my map and highlight an area that I needed to explore) tried hard to make sure it was an area I hadn't already been to, although a few places became my favorites), I'd pack a few things, charge the camera battery and make my way to the metro, the bus stop or on foot. I made the entire process part of my routine and every once in a while I'd remind myself that it was choice to live in a foreign country and no one ever said that it would be easy! I remained confident. In the words of my Dad, "it'll all work out". Well since we're waiting, listening to the beautiful chimes of the Sagrada Familia, gosh Antonio Gaudi knew what he was doing, such a masterpiece....might as well take a break and offer you a lesson in tranquila haha. I won't allow us to wait 30 days to hear of how this NIE business all goes down. New blog post to be posted soon (Part II). Please be assured that this entire experience has been so valuable. Growing up in a diverse Country where many foreigners were moving, working and living/learning our language and culture, I was now wearing their shoes. Experiencing the frustrations, trials and tribulations of such a relocation. Every day is an adventure (some days more trying that others, but each and every day of living my dream to wake up Spanish, continues to be absolutely amazing). Love it when there is a new blog to start my day with! !